Sandwell and West Birmingham Hospitals NHS Trust has appointed Colin Ovington as successor to Rachel Overfield who has been Chief Nurse at the Trust for the last six years. Colin is an experienced Director of Nursing, who has worked at Queen’s Medical Centre, advised Strategic Health Authorities on best practice on infection control, and was recruited in 2010 to help rebuild and recover quality of care at Mid Staffordshire. Chief Executive Toby Lewis, said; “During the selection process, I was impressed with Colin’s personal resilience and his focus on standards of nursing care, as well as a consistent emphasis on multi-professional teamwork being at the heart of what we do. Colin’s focus will be to build on the Trust’s achievements in nurse leadership and quality of care, ensuring the experiences of patients and their families continues to improve and that nursing colleagues are enabled to care for their patients with compassion. 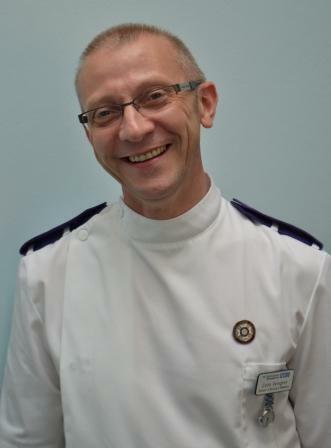 Colin’s nursing career in the NHS spans 34 years, nearly half of which have been in senior leadership roles and seven at Director level, including three roles as Director of Nursing and one as Turnaround Director for Infection Prevention. The bulk of his clinical career has been in neonatal and paediatric intensive care. He hopes to take up his post this calendar year.